The USBLT1MBS 1m Slim Lightning to USB Cable is colored to suit black iPhone, iPod, and iPad mobile devices and provides a reliable solution for charging and syncing your Apple devices with your PC or Mac computer, through an available USB port. The USBLT1MBS is Apple MFi certified and backed by StarTech.com's 2-year Warranty to ensure dependable performance. 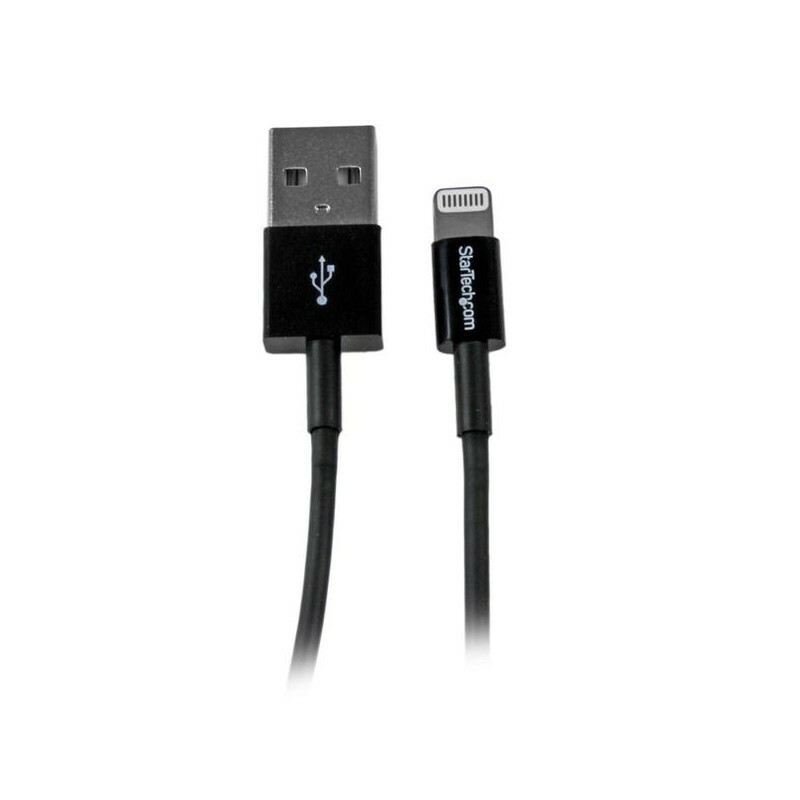 Note: If your computer USB port does not deliver sufficient power and you see a “Not Charging” message on your iPad or other Apple device, you can use this 1m Lightning to USB Cable with the USB2CHADP" text="USB 2.0 Fast Charging Adapter (USB2CHADP) in order to fast charge your devices.